One can’t overestimate the influence John Waters and Divine had on my generation of gays. Especially the way they memorialized the obscure fads and inane artifacts of our childhood. 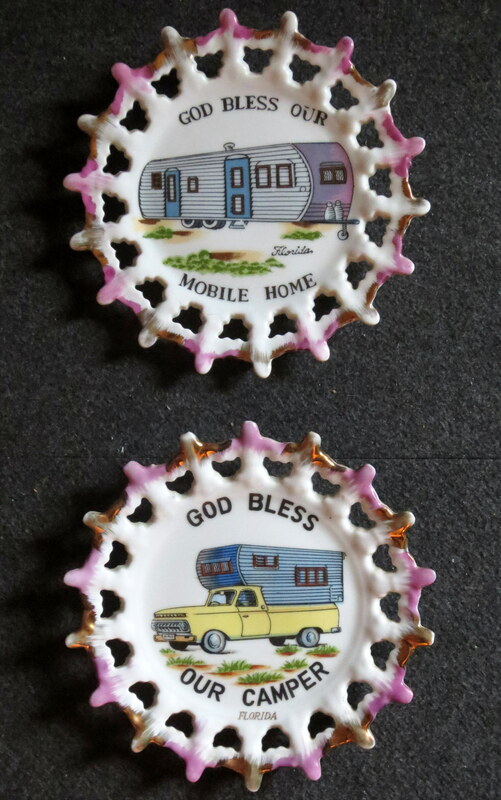 Like Divine’s trailer in Pink Flamingos with its God Bless This Mobile Home decorative plate. It was the kind of kitsch I saw as a kid at the Stuckeys shops along the highways when we took long trips. At the time my attention gravitated more towards the pecan logs. 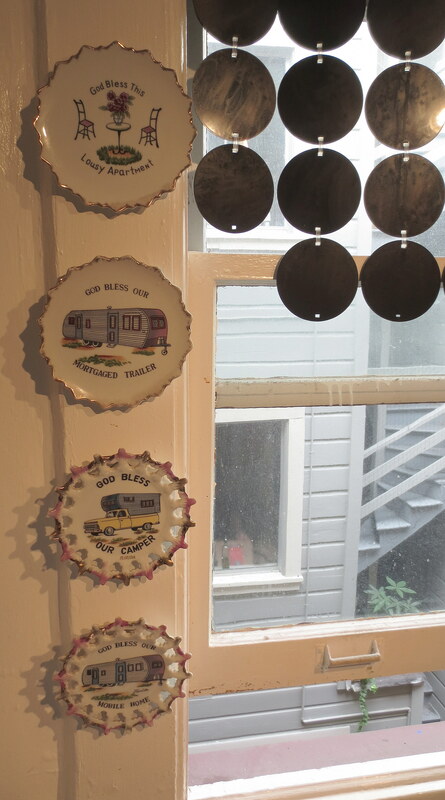 I would just dismiss those plates as tacky because that’s what my Mother and Grandmother did. Until I saw Divine’s trailer. A whole new layer of meaning was added and I had to have one. I acquired my Mobile Home plate in Lakeland, Florida when I visited my Grandparents in the late 70s. The next year I found the Camper plate there too. 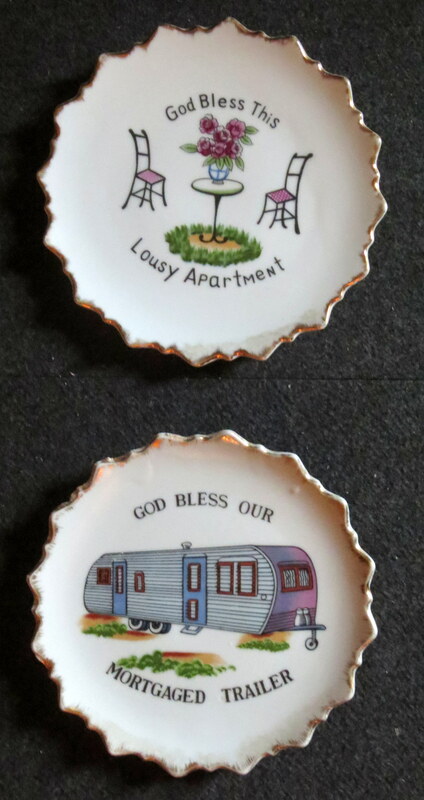 A friend gave me the Mortgaged Trailer plate and my cleaning person found the Lousy Apartment one for me. They hang over the kitchen sink and are of great comfort to me as I slave over dirty dishes. Counting my blessings.